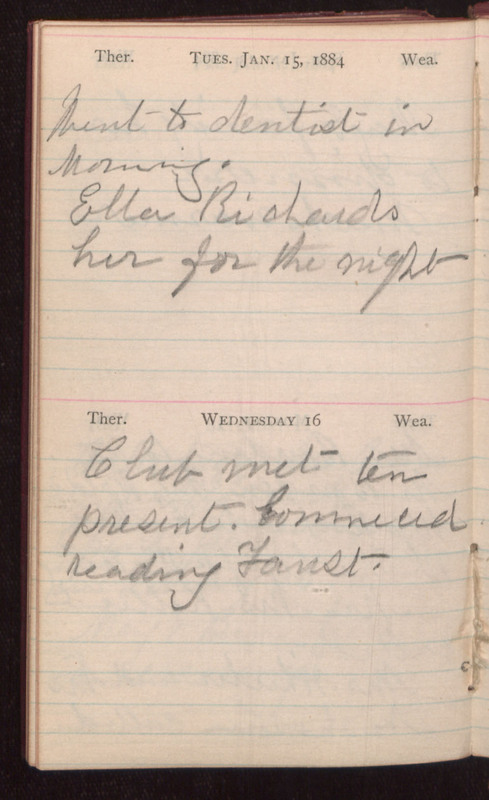 Tues. Jan. 15, 1884 Went to dentist in morning. Ella Richards her for the night Wednesday 16 Club met ten present. Commeced reading Faust.